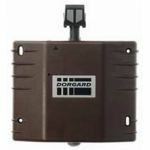 The Dorgard A 1328 Door Holder Brown is meant to be placed on the bottom of a fire door, and can be installed in under 5 minutes. The Dorgard listens out for a repeated fire alarm which is 65dBA or greater. 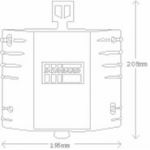 As we would recommend with any fire safety device, the Dorgard should have a Fire Risk Assessment carried out on it before installation. As soon as the Dorgard has been installed, it works by listening out for a repeated fire alarm sound 65 decibels or greater. 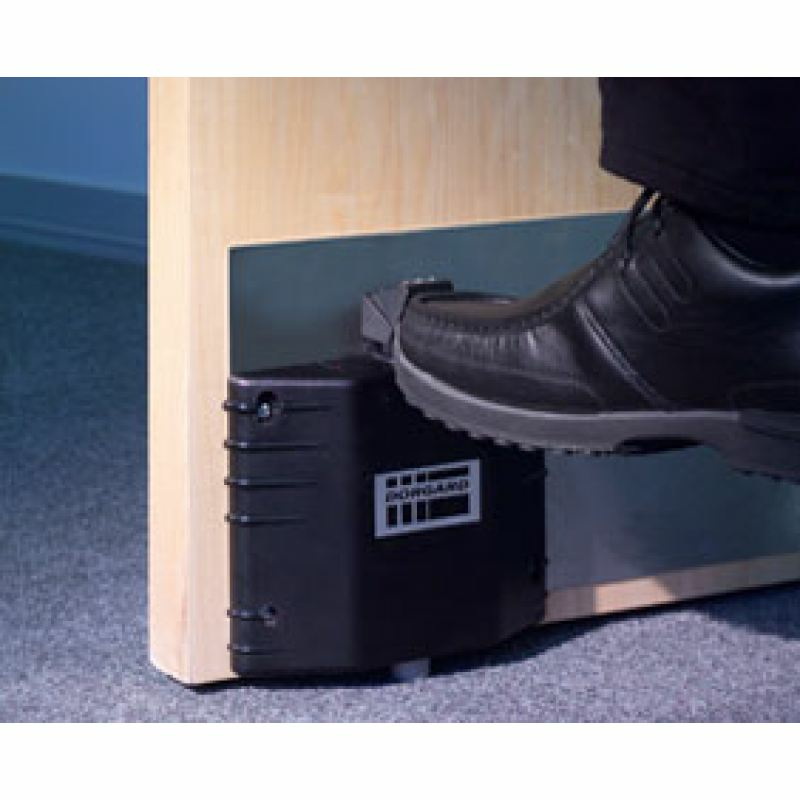 As soon as the Dorgard notices this sound, after around 14 seconds, it will release the fire door, and the door will shut from the pressure of the overhead door closer in order to seal the area to prevent smoke and fire spreading. 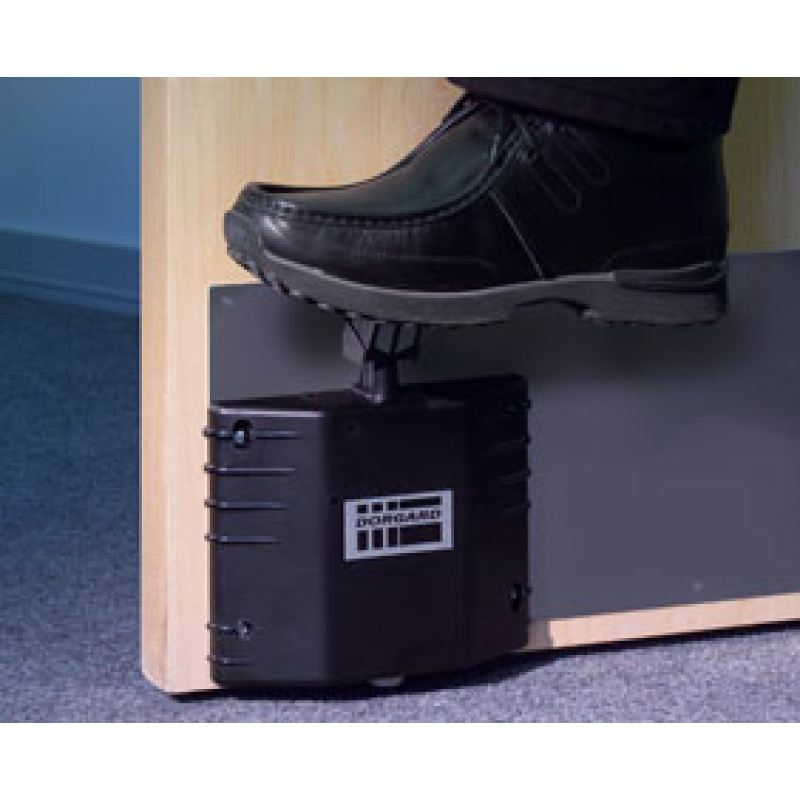 As a safety feature, the Dorgard will release at a general noise level of 80 decibels. This is because if the noise level in your building exceeds 80 decibels, you are unlikely to be able to hear a 65 deciblel alarm, so the Dorgard releases the fire door to close. 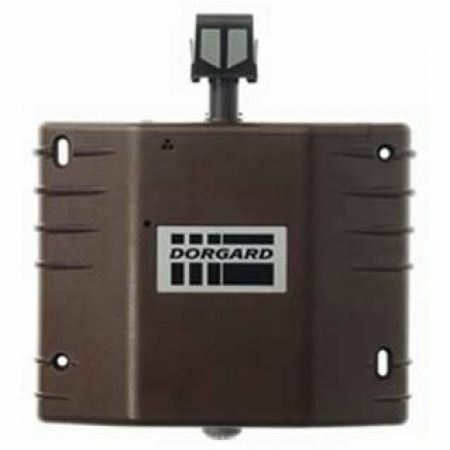 Being wireless, the Dorgard does not need any wiring into the main fire alarm system of the building, allowing there to be minimum disruption and quick and easy installation. 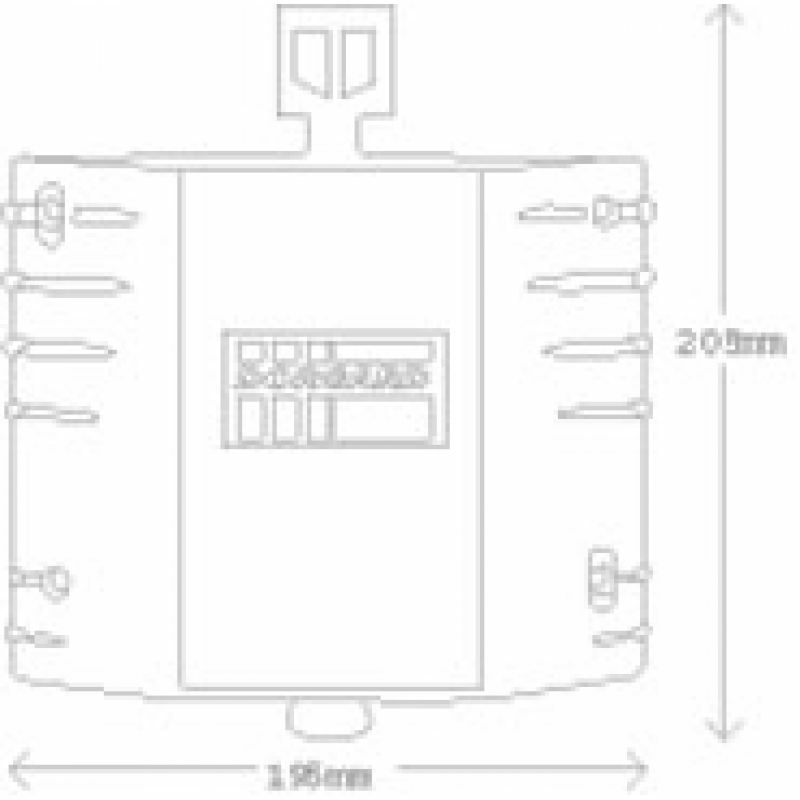 What differs a Dorgard from electro-magnetic retainers is that it is all battery operated and self-contained, requiring no wiring. It takes around 5 minutes to set-up, and is affixed to the fair door via four screws. Insert the two C-size batteries supplied, and the Dorgard is ready to go. As it is a legal requirement to keep your fire doors closed at all times, but with the Dorgard Door Holder it enables you to keep the door open to allow easy access through the rooms. With Dorgard A 1328 Fire Door Holder / Retainer Brown, it is perfect if you wish to have it camouflaged within the door's natural colour. i accidentally ordered the brown version instead of the black but it's quite dark in colour so its okay so i'm going to keep it anyway.